What Are the Most Anticipated Games for 2018? The Scoop: Even with Trump’s ire with video games, that doesn’t stop gamers and game developers to keep the fun coming by releasing more amazing games this year! Find out what are the most anticipated games for 2018 and you might want to save up on some of the picks. Even with the heated war between Trump and video games, business for game developers and distributors seem unfazed. The players don’t even mind it anymore and just kept on playing their favorite games that Trump considered violent such as Fortnite and many more. However, there is more to games than just violence and those are more than enough for people to protect games and keep on anticipating the upcoming games of the year. Without any further ado, here are some of the games that we just can’t wait to get our hands on this 2018. One of the best games with the best heroes gets to have a sequel this year. And not just this year but a few months from now, you get to finally play it! Let’s just hope that one small detail won’t ruin the game for us but who are we kidding? God of War will always be awesome in my eyes. Get another glimpse of Lara Croft, one of the best heroes in video games, and get involved in her next adventure with Shadow of the Tomb Raider. 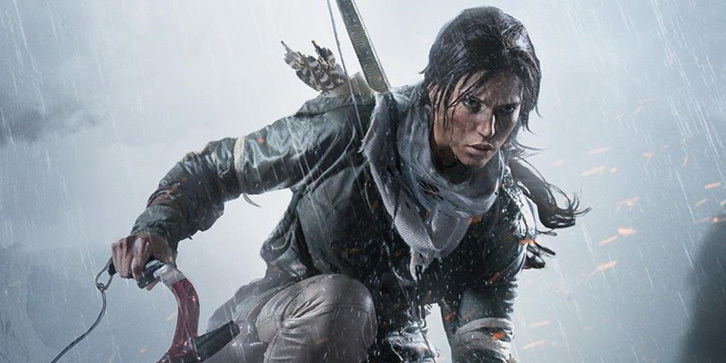 You will be able to witness Lara Croft’s defining moment as she becomes the tomb raider. Square Enix is very hush-hush with the rest of the game but that’s part of the fun. Mystery. Being a vampire doesn’t mean that you play the role as a bloodthirsty killer. Be in the shoes of a vampire named Jonathan Reid as you search for targets to feed. Beware, though. This vampire has a conscious and you should choose who to kill wisely. If you want something cute and light-hearted, take a whack at Mineko’s Night Market! Inspired by Animal Crossing, play as Mineko as you discover the secret of your new home. Get to craft objects to prepare for the Night Market and explore the world with lots and lots and lots of cute cats! There are plenty of games that are in progress and there are more games to be released in the near future. Escape and explore the world of make-believe through games and get your consoles and PC ready to get some of these games to play! So what game are you waiting for this year? Games, technology and more right here on Scoopfed!